A Project Risk is an uncertain event or condition that can have a positive or negative impact on the project. It has an effect on at least one project objective where objectives can include Scope, Schedule, Cost, and Quality. A Risk may have one or more causes, and if it occurs, it may have one or more impacts. Organizations perceive risk as the effect of uncertainty on their projects and organizational objectives. Each organization has a tolerance for risk based on the nature of the risk, and the risks that are threats to the project may be accepted if the risks are within tolerances and are in balance with the rewards that may be gained by taking the risks. The objective of Risk Management is to increase the likelihood/impact of positive risks and decrease the likelihood/impact of negative risks. Risks for a project can be managed by following the Risk Management cycle. This Risk Management cycle should be followed at almost every stage of a project to minimize the negative impact of a risk and to maximize the opportunity. The different stages of Risk Management are explained in the subsequent topics. In this phase, identification of risks that might affect the project is done, and characteristics of risks are ascertained. This can be done by following the methods of Brainstorming, Delphi Technique, SWOT analysis, Interviewing, Checklist etc. Risks should be analyzed both in quantitative and qualitative manner in terms of probability of their occurrences using tools like decision tree, fishbone diagram etc. Planning risk responses facilitates development of risk response stances for the identified and prioritized risks. Negative risks can be dealt with strategies like Avoid, Transfer, and Mitigate whereas positive risks can be dealt with strategies like Exploit, Share, and Enhance. Kovair comes with a fully customizable and web-based Risk Management solution with a wide array of industry leading features. ‘Fully customizable’ means you can configure or design the process of Risk Management in this tool, and can make that process automatically synchronized with other workflows. One of the important principles of Risk Management states that it should be treated as an integral part of organizational processes, and also as a part of decision making. Keeping this principle in mind, Kovair has offered a flexible, customer friendly, easy-to-use enterprise level solution by means of which you can efficiently manage the potential risks of the project. Risks vary according to the nature of the projects. For example, the potential risks of automotive project will be different from that of financial project. So, there should be a relationship between Project and Risk. In the Kovair – Risk Management solution, both Project and Risk are considered as separate entities, but are linked by means of a ‘relation’. Project entity has its own set of attributes (i.e., fields) to capture detailed information of each Project in the application. Risk entity has the attributes that are different from that of Project, and are specific to Risk related information. Kovair’s Risk Management gives all the stakeholders a better visibility through a formal risk tracking process. 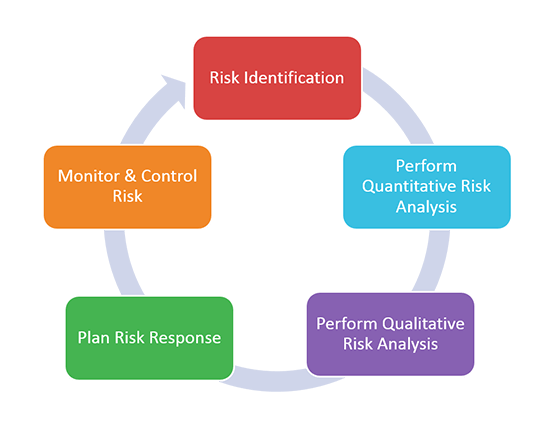 The risk tracking features available in Kovair provide better risk impact assessment. This enables the project teams to identify, quantify and mitigate risks and thereby define appropriate corrective measures. By virtue of relationships, risks in Kovair can be related to any artifact in one or multiple ways. By categorizing risks, the solution helps the teams to be prepared for the unexpected.Kovair’s Risk Management solution implements an enterprise risk framework and applies risk tracking techniques by allowing you to document and respond to risks from a single, centralized repository.